Working in a dusty environment poses a health hazard. When you breathe in dust, the smallest particles can reach the windpipe and lungs, causing irritation that may lead to a number of respiratory illnesses such as rhinitis, tracheitis and bronchitis. Clearly, there is a need for more thorough cleaning methods to make your workspace safer for employees and clients alike. Companies in Edmonton that provide janitorial services like post-construction clean-up can help you. To control the spread of dust, trained janitors will first employ different dusting techniques on some surfaces. Walls, wallpaper, metal or wood furniture, baseboards, shelves, windowsills, ceilings, and windows need to be wiped down properly. Depending on the type of surface, a soft, wet towel, dryer sheets, microfiber cloths, damp cloths or grasscloth can be used. Dusting can be followed up by vacuuming to make sure that all particles are removed. Vacuum cleaners for everyday use are hardly capable of removing deep-seated dirt especially from floors made of wood. Vacuums we usually see in residential settings don’t have adequate suction, heavy duty filters or large storage bags required for the job. This is why janitorial companies use industrial grade vacuum cleaners with high-efficiency particulate arresting (HEPA) filters to catch smaller particles of dirt. Cleaning professionals will run the vacuum over ceilings, floors, vents, and other tiny openings. Carpets and furniture with thick fabrics trap a lot of dirt as well. Ideally, furniture, carpets, window treatments and other accessories should have been covered up, but dirt can still get under the covers. If these only require light cleaning, janitors can use vacuum attachments specifically designed for cleaning fabric surface. Otherwise, upholstery and carpets may need to be deep-cleaned. Dust will continue to circulate around your workspace if you don’t clean out the ventilation system as well. All vents and cold air returns should be removed to clean both sides. Heating and air conditioning filters must also be replaced even if the system remained unused during the renovation. Dust can already be trapped in there, so don’t turn on heating or cooling before filters have been switched out. Clean-up after construction requires specialized equipment, skilled workers and several days to complete. 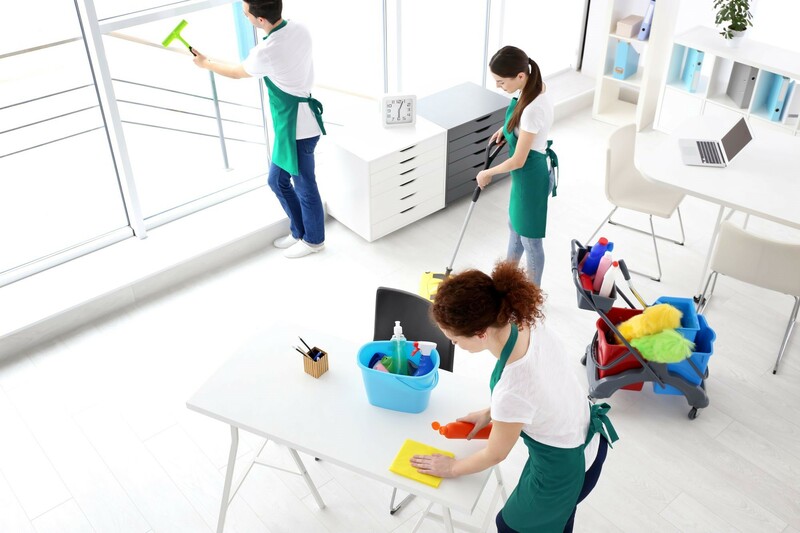 You can resume work operations without any worries if you hire companies like Pro Janitorial Services Edmonton.